How to Accept Online Payments With 2Checkout To begin working with your 2CO Account, you must first login. 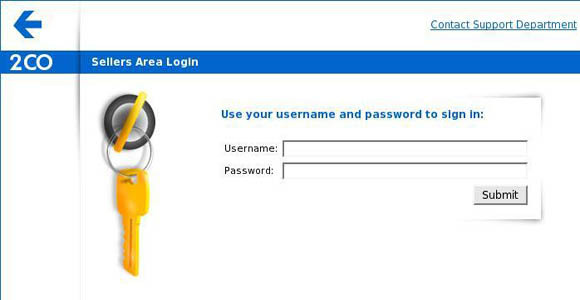 Once you login, you will be able to access all your account information and available functions. Once you have logged into your account, you will be taken to your Account Homepage. From there, all available functions of your account are accessible. 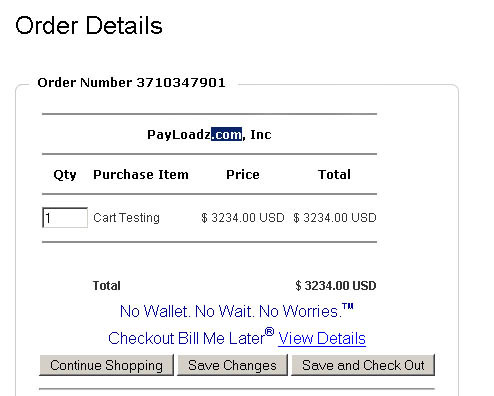 First you will need to set the Approved URL page to http://www.payloadz.com/pay/2co/index.asp in your 2CO account. If you do not have a 2CO account then you can sign up for a 2Checkout account. You can get registered with 2CO by completing the 5 steps given by 2CO. For getting info how to make account, please click here. Once registered, 2Checkout will provide you with a Vendor number which will then be used in the 2nd Site "System Settings Wizard". When you click a Continue or buy link, your computer takes you to 2CheckOut.com, where you pay by credit card. Before your computer opens 2CheckOut's Website, it will probably notify you that you are entering a Secure Site. That's because (unless you've disabled this function) your computer always notifies you whenever you enter or leave a secure site. This notification appears in a message window. 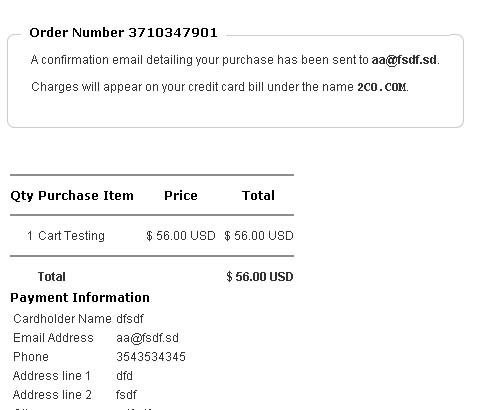 Next, you'll see a Web page on the 2CheckOut.com site with a form on it like the one below. If you haven't disabled the Status Bar in your Web browser, you see a little "locked padlock" icon in the lower-right corner of the browser window. This is another way your computer tells you that you are on a secure Web page that nobody else can see. Clicking the Continue Shopping button stops the ordering process and brings you back to Operation Doubles. If you go back and forth between Operation Doubles and 2CheckOut several times, the quantity may increase (depending on what you click to go back and forth). If this happens to you, no problem. Just set the quantity back to "1" and click the Save Changes button or the Save and Check Out button. 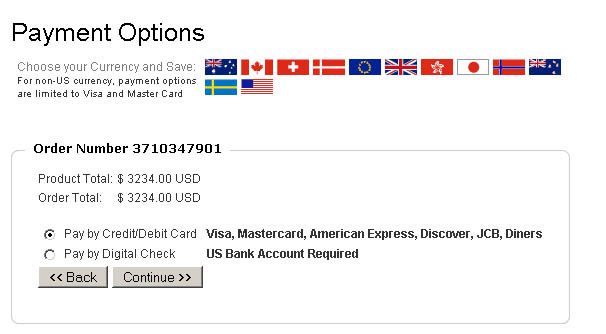 Before proceeding, make sure the proper currency is selected by clicking a flag at the top of the page, if necessary. To place your order and pay for the Strategy Guide, click the Save and Check Out button. Next you'll see a page with a form on it like this. Click the round button labeled "Pay by Credit/Debit Card" or "Pay by Digital Check" to activate it. Then click the Continue button. What if the price is in the wrong currency? Click the Back button to go back to the previous page and select the proper currency (see above). 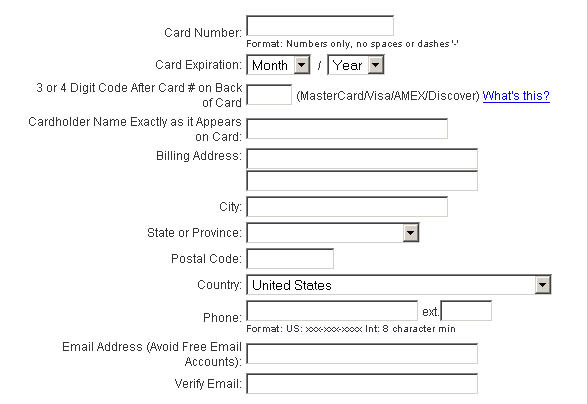 Next you'll see a page with a form on it that looks like this. Notice that the above form asks you NOT to give an email address for a free-email account. That isn't because you are looked-down on for having a free-email account: everybody has them. But free accounts don't give you a verifiable identity, so they aren't accepted for online credit-card purchases. In the Verify Email field, enter your email address a second time: this is just a precaution against typos.